The jacket features a contrasting solid colour detail on the front with a front clasp closure. 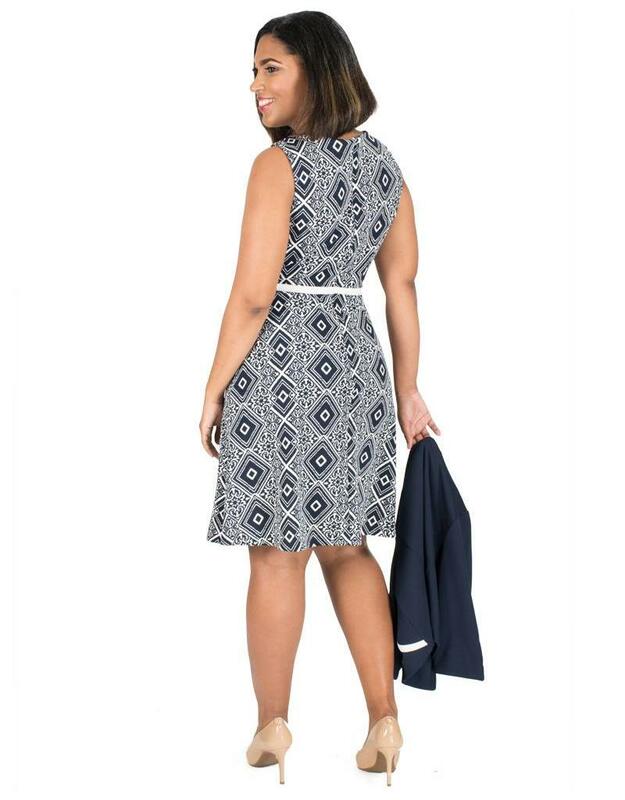 The dress features a modern printed pattern in a fit and flare silhouette that can be worn with or without the jacket. Pair with accessories from our collection for endless options. 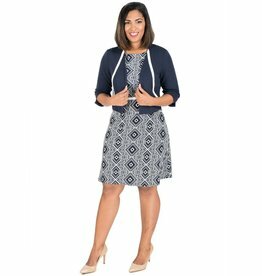 Double your style and your options with this classic three quarter sleeve jacket and printed dress combination.